This confessional self-help guide explores the complex emotional truth of what it’s like when food, weight, and body image take priority over every other human impulse or action. Activist author Marissa LaRocca's revelatory tale includes her struggle with her secrets, including sexuality, and how she emerged as an outspoken advocate for gay rights and women’s health issues. Anorexia and bulimia health crisis: Many young women and girls struggle with the body image issues that engender eating disorders with elaborate rituals around food, binging, purging, and hiding it all while trying to maintain a face of normalcy to the world. Anorexia and bulimia have become major national health crises with skyrocketing statistics indicating that between 3 and 5% of the population suffer anorexia nervosa alone. Sadly, many never attain the sense of being “normal” and deal with a lifetime of body image and self-esteem issues. Coming of age story of a woman battling for self-esteem: This intimate account of courage and the search for truth and meaning will have you rooting for Marissa LaRocca as she unravels the emotional layers of her own battle with food, body image, and sexuality. 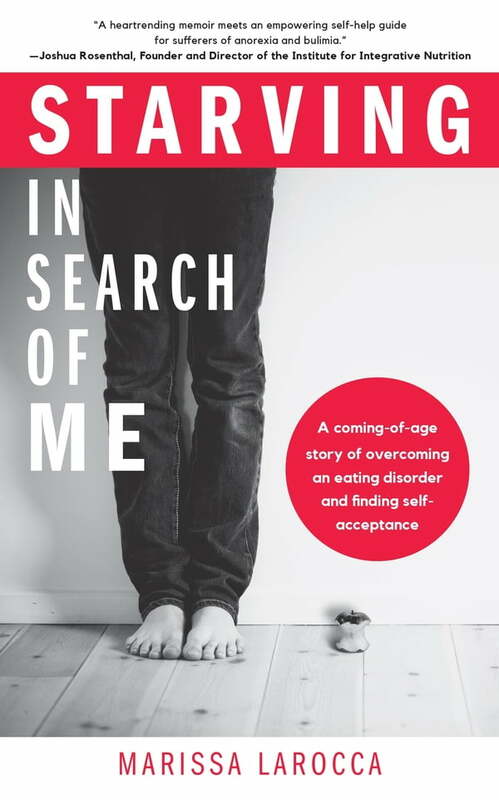 Readers of this riveting memoir, Starving in Search of Me, will relate to the coming-of-age story of a young woman confronting some of life’s major issues while living, for a time, in two closets: one to hide her eating disorder and one to hide her sexuality and very identity.